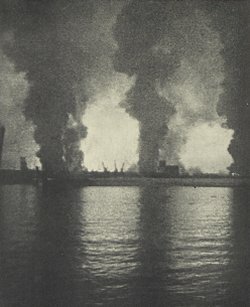 In this section, below are 22 photos taken from the book 'Keep the memory green - The story of Dunkirk' published in 1950 by Hutchinson & Co.Ltd. Written by Lt. Colonel Ewan Butler and Major J. Selby Bradford M.B.E., M.C. 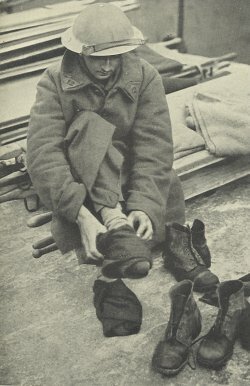 who served in France as young officers during the last months of 1939 and the first five of 1940 with that small British Expeditionary force commanded by Lord Gort, which first faced the full might of Nazi Germany. The war which was known as 'The Twilight war'. 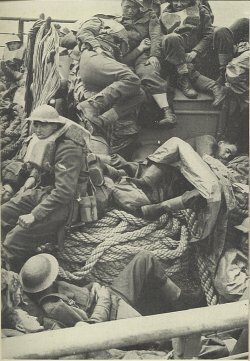 "In the fields of Flanders, at Dunkirk, and elsewhere in the quiet countryside of a France, now and again peaceful and free, lie those of our comrades who did not return from that forgotten campaign. Beside them are the graves of the men of an earlier B.E.F. who made the same sacrifice so few years before, facing the same enemy. 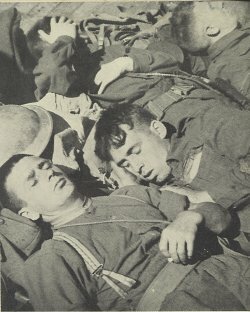 The sons were not unworthy of their fathers or of those other British soldiers who have given their blood to the thirsty soil of Flanders throughout our history. 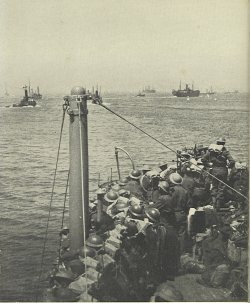 To them the weapons which we brought to France this time, inadequate though they were, would have seemed formidable indeed, but they would have recognized the men who carried them. 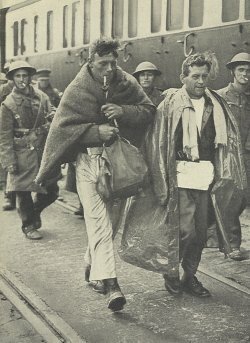 It has become fashionable to say that chivalry is dead, yet the men who went to France in 1939 were as much the flower of our chivalry as their forefathers, who followed King Henry to Agincourt. 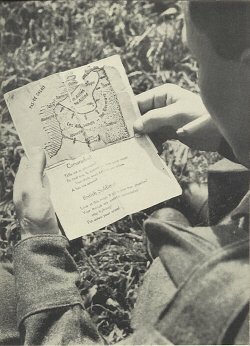 Although humdrum divisional symbols took the place of pennants and bannerets, and bren-gunners and riflemen replaced the bowmen and pikemen of England, the B.E.F. knew, none-the-less, that they were the first to be entrusted by their country with a great enterprise, and they were proud in the knowledge. They did not betray that trust. God keep their memory green". "We shall outride the storms of war, and outlive the menace of tyranny. That is the resolve of the Government; that is the will of parliament, and of the nation, and we shall not flag or fail. We shall fight on the sea and the oceans, we shall fight on the beaches, we shall fight on the landing grounds, we shall fight in the fields and in the streets. We shall fight on the hills. We shall never surrender". "Arm yourselves and be ye men of valour, and be in readiness for the conflict, for it is better for us to perish in battle than to look upon the outrage of our nation and our alters". 1: Trek to the beaches through a blitz on the town. 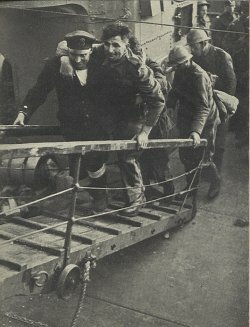 3: Some of the men at Dunkirk who were rescued. 4: The single pier that remained. 5: 'The crash and the thunder...' and the unconquerable spirit. 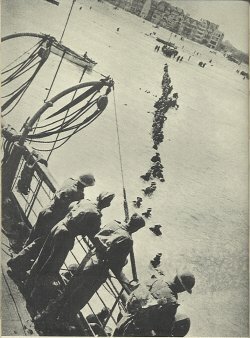 8: Under an almost ceaseless hail of bombs and an increasing concentration of artillery fire...with little or no rest...for days and nights on end making trip after trip across the dangerous waters, bringing with them always men whom they had rescued. 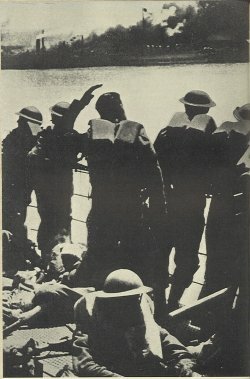 10: A call to surrender, dropped from the air. 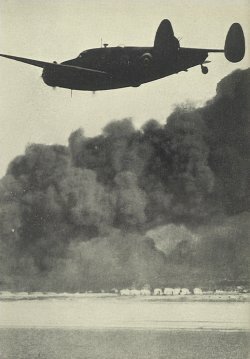 11: A Lockheed Hudson low over the inferno of blazing oil tanks. 12: They paddled their own canoe. 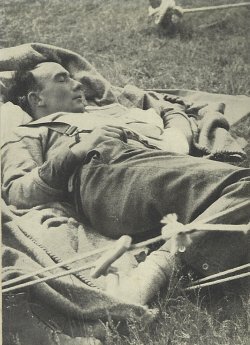 14: At the first chance a sleep. 15: Not even standing room. 16: The 34 year old paddle steamer, 'Emperor of India' was there, her deck crowded with passengers in garb unfamiliar to her. 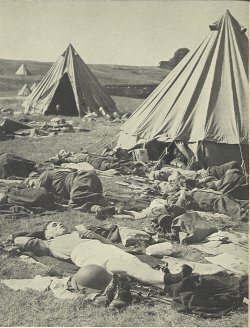 17: These men were left. 18: ...to their native land. 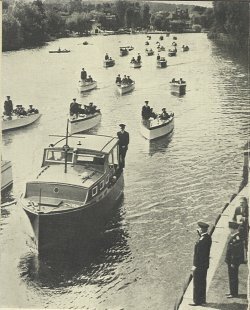 19: ...honoured by review they sail past the saluting base in the peaceful upper reaches of the Thames after their epic part in the evacuation.